This product is available to order for collection, for delivered prices click here. 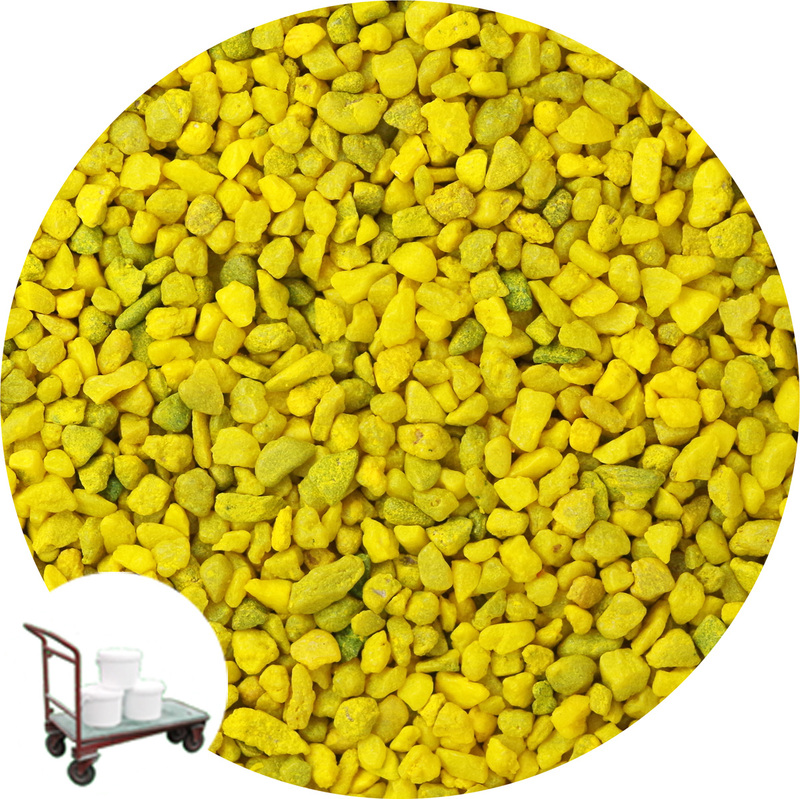 Yellow coloured rounded gravel nuggets. Suitable for interior and exterior plant topping, flower arranging, crafts and event decoration. Fish friendly, this gravel can be used with confidence as as an aquarium substrate. Gravel nuggets are best described as half way in size between a coarse sand and our normal 3 to 5mm rounded gravel. Coverage: A 15kg pack will cover approx 0.9 Sqm at 10mm depth. 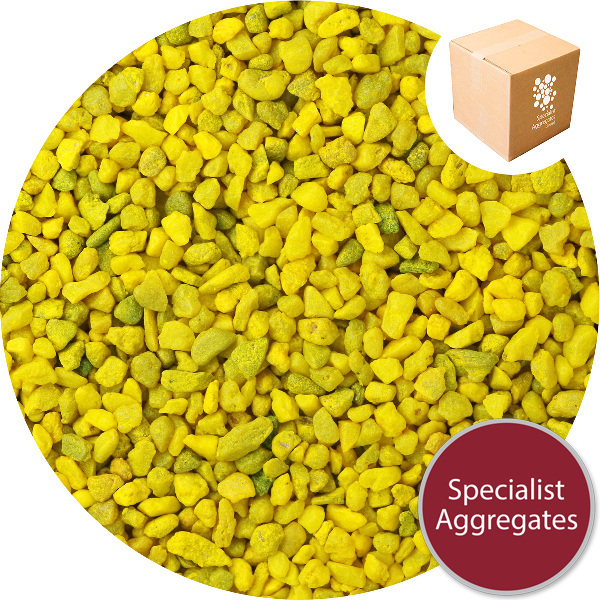 Yellow coloured rounded gravel nuggets created in the UK by Specialist Aggregates. Suitable for interior and exterior plant topping, flower arranging, crafts and event decoration. Manufactured using top quality water worn river gravels and durable polyurethane resin, making the product both colourfast and waterproof. 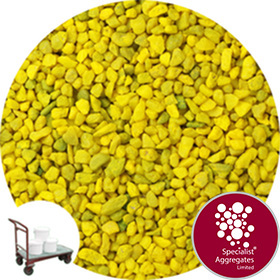 With rounded particles and minimal lime content this gravel can be used with confidence as an aquarium substrate. (Wash before use) . Safety Information: Whilst the product is non toxic it is not considered to be suitable for children under 36 months without appropriate adult supervision. 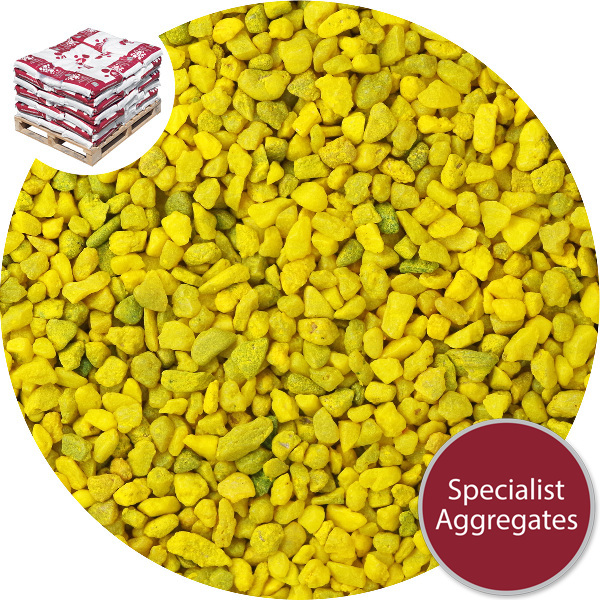 Specify: Sunflower coloured gravel nuggets from Specialist Aggregates.